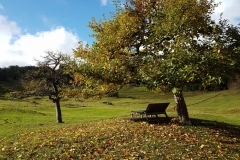 Are you looking for a custom tailored tour with your personal local Swiss guide? We’re specialised in exclusive day tours as well as in private guiding. 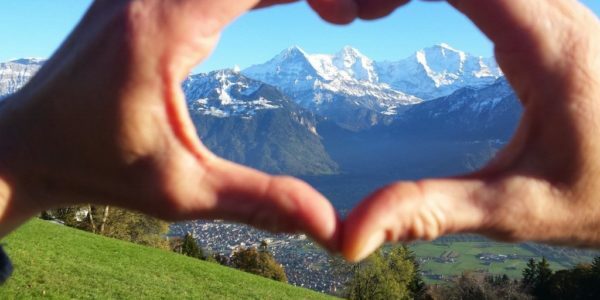 Switzerland is spot for vacationers, nature lovers, honeymooners and adventure freaks. 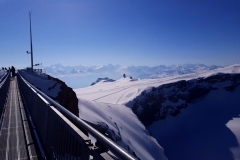 We invite you to experience real Switzerland with the Best Switzerland Tours & Trips. 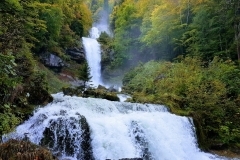 We will show you the beauty of Switzerland, hidden nature places, unforgettable sceneries and spectacular views. We invite you to local Swiss farmer’s house’s, watch how real Swiss alpine cheese is made and discover the secret of the famous Swiss chocolate. 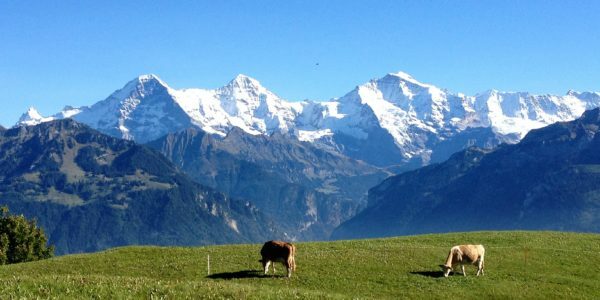 Switzerland is one of Europe’s most appealing & favorite destinations for travelers. Switzerland is home to stunning mountains & beautiful lakes. 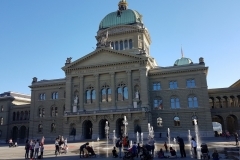 Pure Switzerland is a Swiss Company having multilingual professional guides (English, French, German, Spanish, Arabic) for Switzerland Sightseeing Tours. 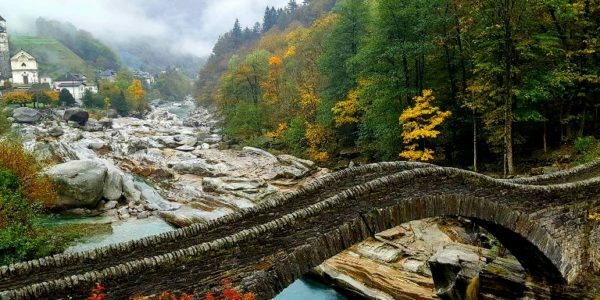 We are specially focusing our efforts to show you real Switzerland and its landscapes, mountains & hidden places. Enjoy your Luxury Travel to Switzerland with our private transfer services to your destinations. 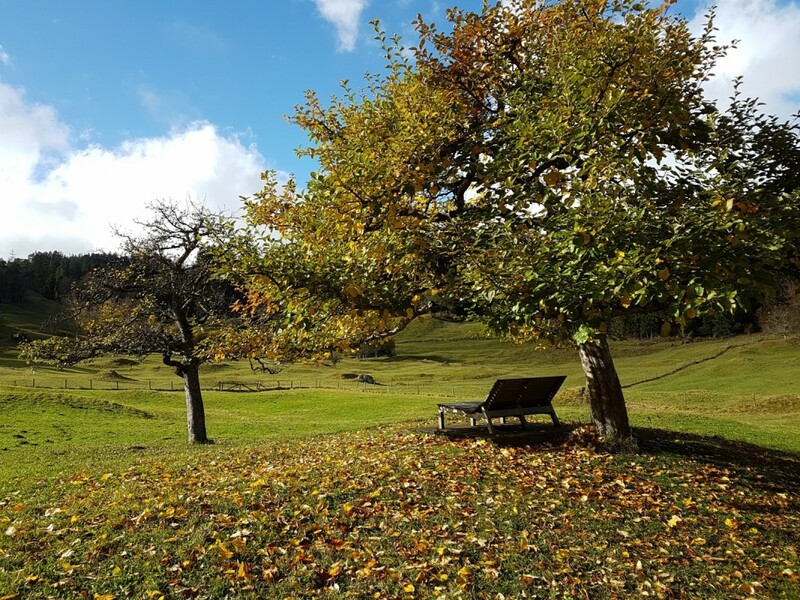 Our trailer-made Escorted Tours of Switzerland will be accompanied by Sibylle or her partners as expert Swiss Guide having great knowledge of the areas, the Swiss culture, customs, traditions and a lot more. 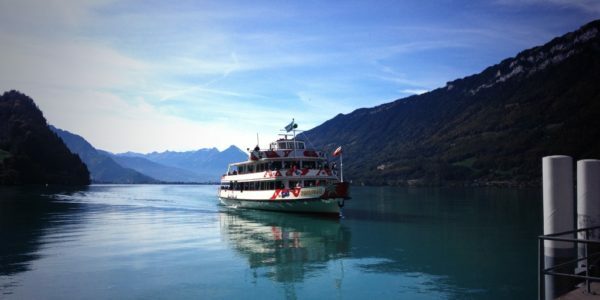 On your journey you’ll travel with old nostalgic trains, enjoy a boat trip on one of the thousands of lakes, and drive over stunning mountain passes. 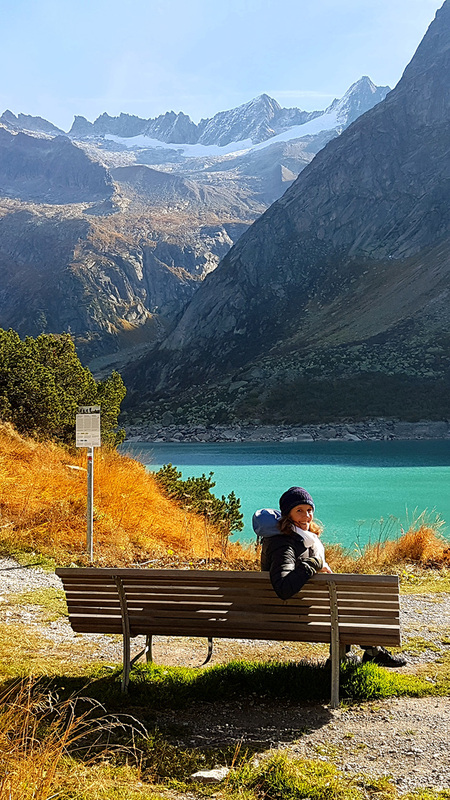 During your Luxury Travel to Switzerland, You’ll visit old traditional cheese dairy, beautiful handicraft businesses or make your own personal Swiss knife and get in touch with local Swiss personalities. 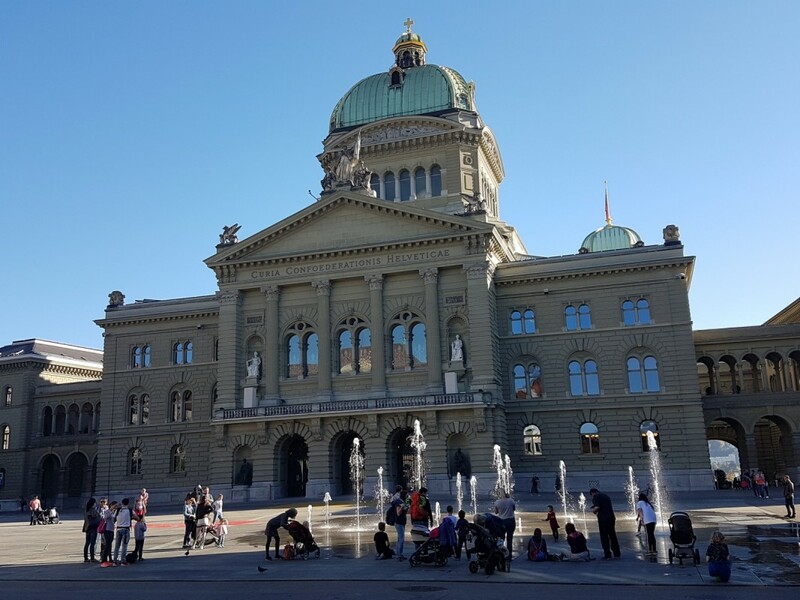 Pure Switzerland offers Best Switzerland Tours, Escorted Tours of Switzerland and any other special Tour like photo shootings or adventure holidays in Switzerland. 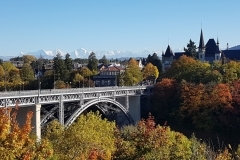 The local guides of Pure Switzerland, Sibylle or her team of selected Swiss guides, show you the unique, authentic and local Switzerland Sightseeing Tours, off the main tourist track and present to you the treasures of Switzerland. 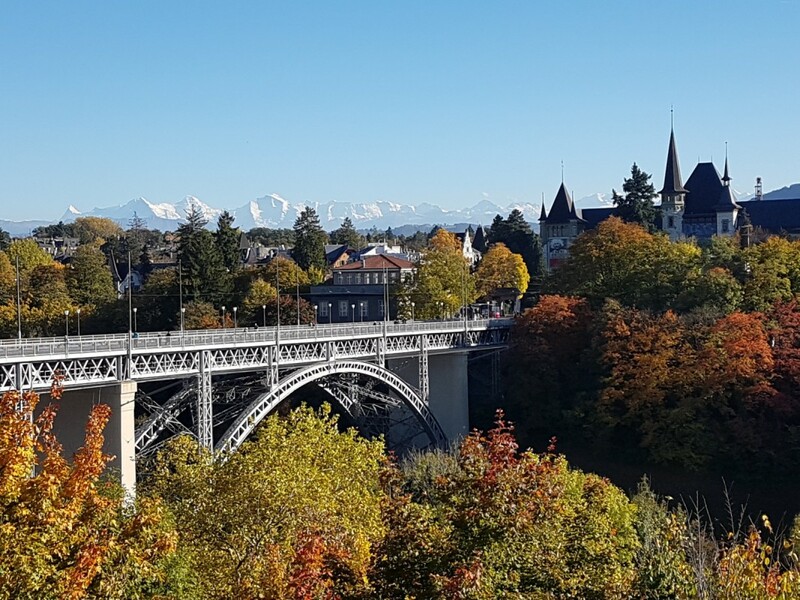 I am Mr. Abdulla & my family (six ladies) from Qatar, we acknowledge the excellent services & times that Mrs. Sibylle offered, touring in her van from 1st- 7th Aug. 2014 from Geneva, Interlaken, Luzern to Zürich, where we spent a wonderful time with her. We can happily recommend her 100% as a tourist guide in Switzerland. 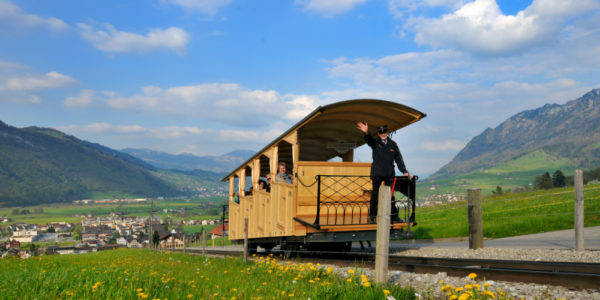 Sibi Sibi Sibi…The best tour guide in Switzerland! Hi! We spent 7 fabulous days with Sibi. She’s super easy-going and just wants to please AND give suggestions along the way. I liked when she’d occasionally drop us off at a site and say, “OK, I’ll meet you later in 1 or 2 hours. We were free to wander 🙂 Then she’d pick us up and we’d go to another wonderful place… maybe she’d stay with us this time to give us the insights of the area. She drove us all over Switzerland, from Zurich to Interlaken, to Geneva and even across the Italian Alps to Milan! We always felt safe and in capable hands. 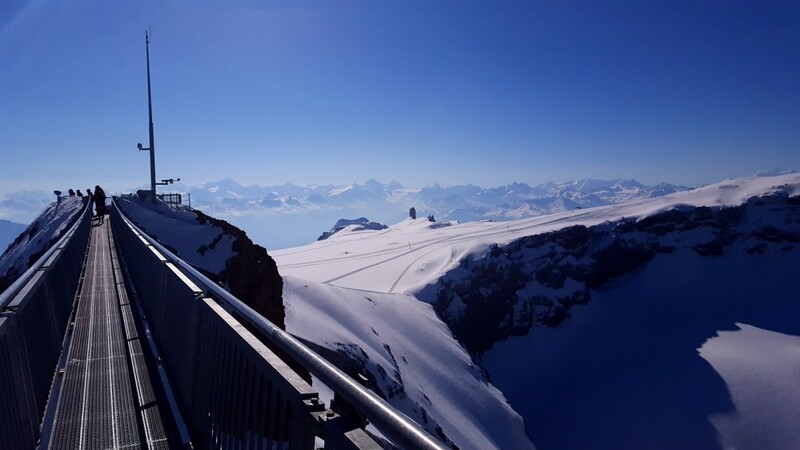 We took the train up to Jungfrau and spent the day at the top of the mountain… don’t miss this! She took us to a young couple’s home where the cow bells were ringing in the hills and they made cheese in their barn. Sibi always does her homework and has everything you want to do planned out so things run smoothly. If you don’t know what you want to do, she’s spontaneous and makes great suggestions. Sibi is funny and will share her insights into the Swiss history and culture. I hightly recommend Sibi and Pure Switzerland. We’ll be going back to do the things we didn’t get a chance to do, with Sibi as our guide, of course! I don’t know where to start but Sibi was the most caring and kind person I have known. She took me and my family where ever we wanted to go and stop. Perfect trip thanks to Sibi!!!! We got visit many areas of Switzerland thanks to Sibi’s knowledge and appreciation for her country!!! She catered to all of your needs such as our interests and our physical needs. She made sure to make all of our desires come to life such as stopping to take pictures with cows in the countryside. She is the sweetest, most caring, and most enthusiastic person!!! 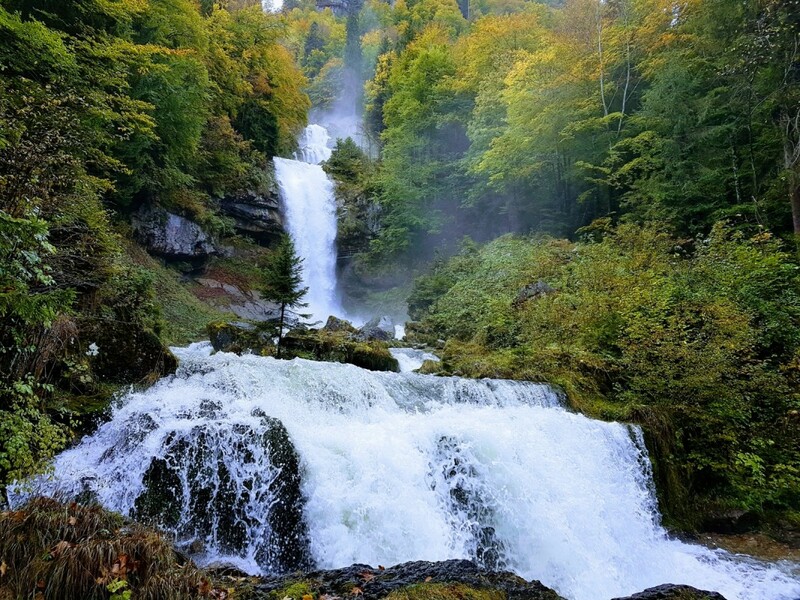 She has a great love for the wellness and beauty of Switzerland which is just amazing! Traveling with her was the experience of a lifetime! Sibylle was our guide to tour the towns around Interlaken. She arranged warm Swiss quiches for our lunch in the park by the lake. A couple of days later she took us on a private tour of a cheesemaking factory in Gruyere followed by the Maison Cailler chocolate factory– and in between, she treated us to dessert and drinks at the H. R. Giger “Alien Bar” in Gruyere. Thank you, Sibylle, for your attentive guiding. The tour was great. Our guide Sibylle was extremely helpful. She made us feel at home and the normal Swiss life. I’d recommend Sibi (Sibylle) if you were to come to visit Switzerland. We have covered almost all the iconic places and even small alleys although our trip was just a short period. Sibi is the best!!! We really enjoyed and had a great experience. Wonderful wonderful day with Sibi.. Literally the best day of our 10 day trip to Switzerland… Sibi is an excellent guide, we had an amazing time with her. We did the lake and gorge tour with her.. It was like a dream come true. She was forever so enthusiastic the whole time and so eager to show us the best of this beautiful town. 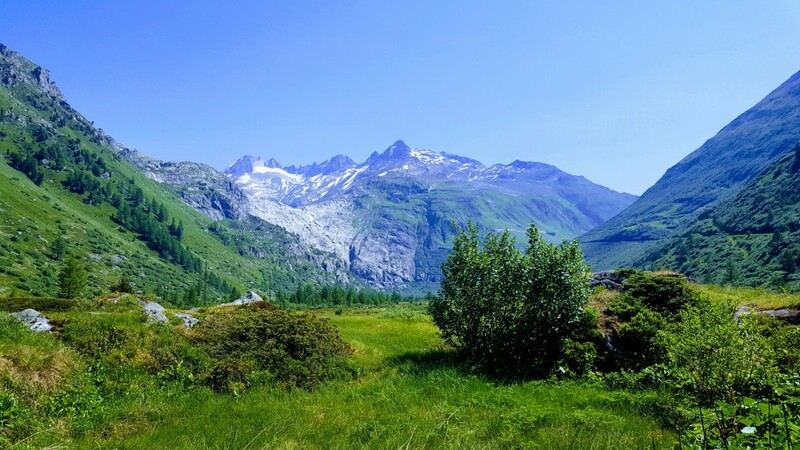 My husband and I were excited to spend our vacation in Switzerland during the summer of 2017 since we heard much about the beautiful mountains, lakes, villages and the famous Alps. With limited time and transportation we needed a tour guide who could provide the personal attention to our needs recommending the truly best places. Our trip became special at Interlachen when we connected with Sibylle who made the difference between a good tour guide and a great tour guide! excitement and beauty of the Swiss Skyline, Brienz waterfalls, alpine meadows and legendary Grandhotel Giessbach. After a full day of touring, Sibylle found us the Grimsel Hospiz with a stunning view and great hospitality. She also helped us navigate our next trip to Milan by rail which would have been challenging without her direction. 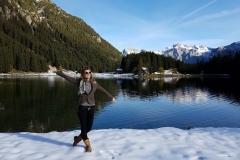 I highly recommend Sibylle to any traveler for an outstanding and memorable Swiss experience. We had a group of 23. Sybille does an OUTSTANDING job! Very knowledgeable, and she shared all the stories of her hometown. We fell in love with this beautiful area. I would highly recommend her and her company! 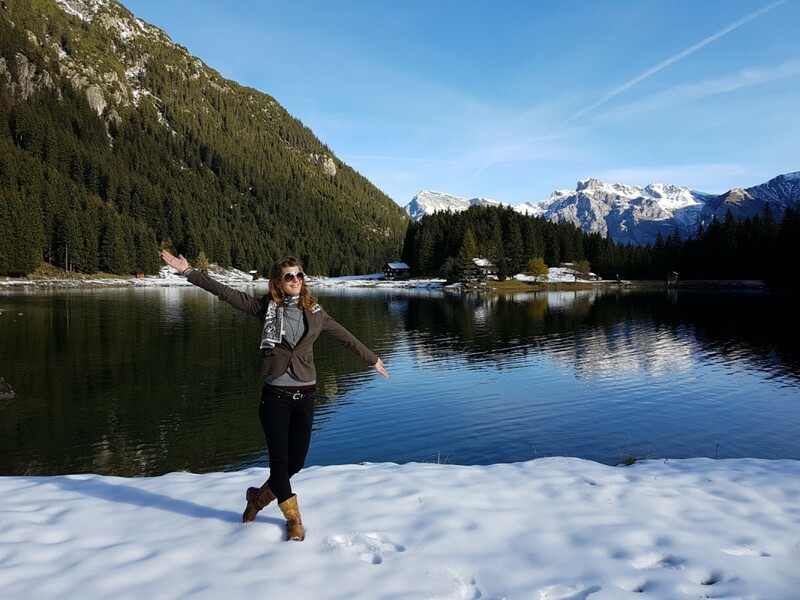 On a recent trip to Switzerland our travel agent arranged a two-day tour with Pure Switzerland and our guide was Sibylle. Not only was she professional and knowledgeable, she made our tours amazing. She was the perfect match for our group, and no detail was overlooked! If you have the opportunity to tour this beautiful country please request Pure Switzerland and Sibi. You will not be disappointed! 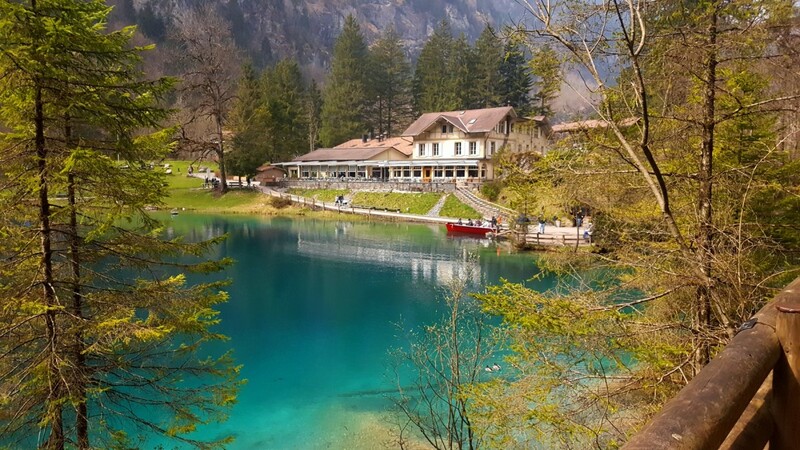 PURE SWITZERLAND…PERFECT for Swiss travel!!!!! bus tours. The Mercedes van was well stocked with goodies and kept immaculate daily. Sibi truly made our trip so memorable. Can’t wait to return!!!!! AwesomeSwiss! – Thanks to PureSwiss!! We were two families with kids and spent 5 fabulous days in Switzerland in early May. Thanks to our guide Sibylle for taking so much care of us, esp. the kids. 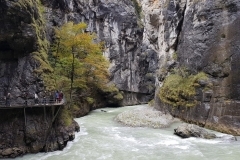 The highlight of the trip was exploring the non-tourist/ hidden-treasures of Switzerland. Kids had a blast snow-sledging/ Zip-trekking with Sibylle… Swiss memories to cherish for life-time! Our group was glad that we didn’t choose any other “tourist” company. Truly Unique & Authentic! Highly recommended for families with Kids/ Teens. Thank you fort he fabulous time we had with you. Amazing Company, great tours! Can really recommend!! We had an afternoon tour with our guide Sibi who is bubbly and knowledgeable. Sibi came to our hotel to pick us up in a 7-seater MPV which we think it is the best way to travel around Interlaken. 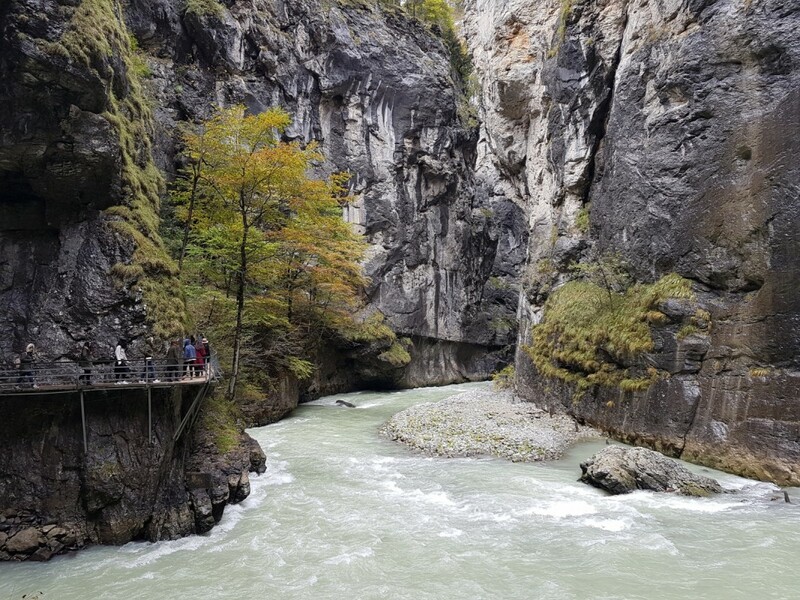 We had a quick discussion with Sibi on the itinerary and Sibi offered to bring us around Lake Brienz and the village nearby as well since it would be our last day in Interlaken and we haven’t been there. As we are a family of three Sibi tried her best to let each of us to have something that we like – dad loves waterfall so we went to Giessbach Waterfall; mom loves apple tree and we stopped by a Swiss farm to take picture in front of a real apple tree; while myself, prefers a traditional Swiss house and we left for a village near Lake Brienz. The best part of the tour is Sibi, not only being a tour guide but also play her role as a host of Interlaken and the nearby places. Her passion in making sure all of us feel comfortable and get to know about the culture, people and the place is second to none. 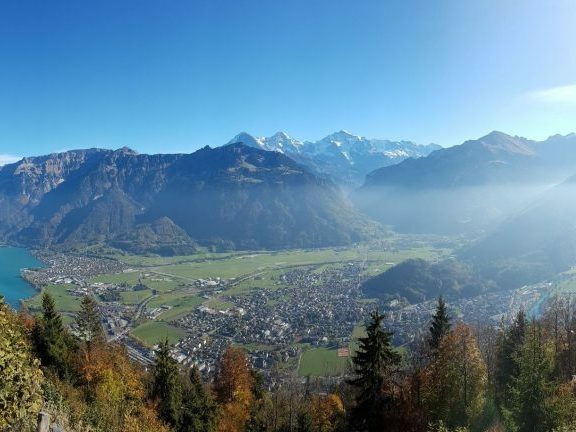 Interlaken become so much more meaningful and excited with Sibi around. Thanks again very much to Sibi, for a wonderful experience in Interlaken.